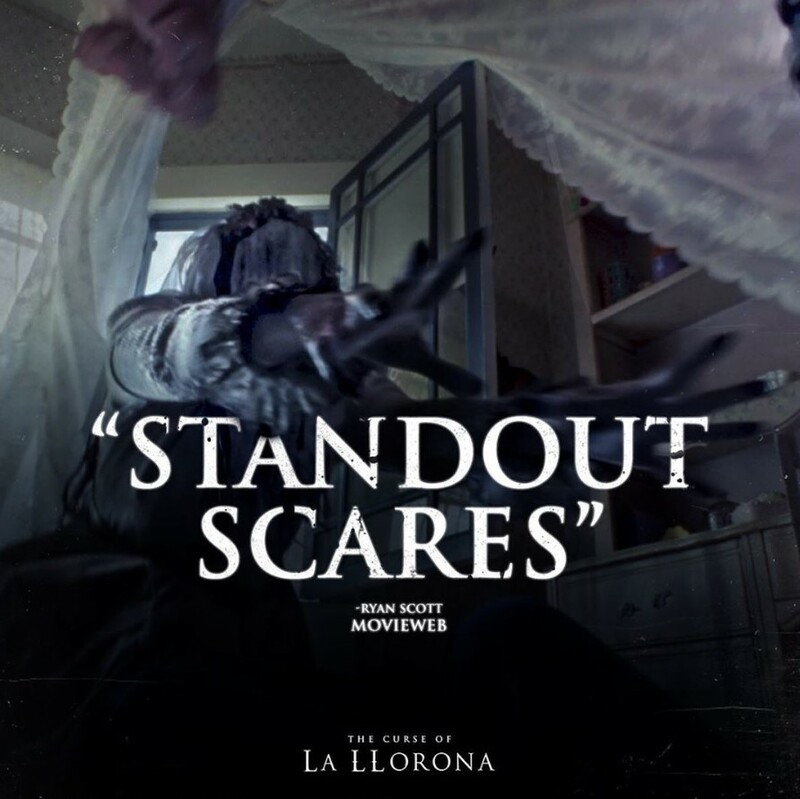 The curse comes to life sooner as New Line Cinema's “The Curse of La Llorona” will hold special whole-day sneak previews on Monday, April 22, 2019 & Tuesday, April 23, 2019 in select cinemas nationwide. Tickets to the sneaks will be at regular admission prices. Interested moviegoers are advised to check the social pages of their favorite cinemas for their participation and screening schedules. As a reminder, “The Curse of La Llorona” is rated R-13 by the Movie & Television Review and Classification Board (MTRCB). The film contains depictions of horror, frightening scenes and occasional gore, that may not be suitable for children below thirteen (13) years of age. The latest film in "The Conjuring" franchise is due to open across the Philippines on May 1, 2019. From New Line Cinema and producer James Wan, “The Curse of La Llorona” brings the iconic Latin American legend to terrifying life in an original horror film. In 1970s Los Angeles, La Llorona (The Weeping Woman) is stalking the night and the children. Ignoring the eerie warning of a troubled mother suspected of child endangerment, a social worker and her own small kids are soon drawn into a frightening supernatural realm. Their only hope to survive La Llorona’s deadly wrath may be a disillusioned priest and the mysticism he practices to keep evil at bay, on the fringes where fear and faith collide. The film stars Linda Cardellini, Raymond Cruz, Patricia Velasquez, Marisol Ramirez, Sean Patrick Thomas, Jaynee-Lynne Kinchen, and Roman Christou.